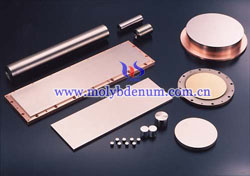 Copper target and molybdenum target can be used in the coating industry. These target material widely used in the electronics and information industry, such as integrated circuits, information storage, liquid crystal display, laser memory, electronic control devices, but also can also be applied to the field of glass coating. 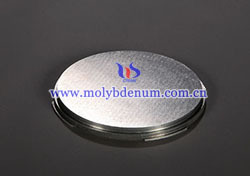 Molybdenum target is also known as molybdenum sputtering target, because it has high melting point, high temperature physical strength, high elastic modulus, excellent thermal conductivity, selective anti-erosion excellent performance, it is widely used in conductive glass, STN / TN / TFT-LCD, optical glass, ion plating and other industries, for all the surface coating and rotating coating system. Copper target is one of vacuum coating sputtering target. It usually uses high-purity copper material as raw material and after processing can obtain specific sizes and shapes products. As high-purity copper, especially high-purity copper has many excellent features, has been widely used in electronics, communications, superconductivity, aerospace and other cutting-edge areas. It can be used for DC/DC sputtering, three-grade sputtering, four-grade sputtering, RF sputtering, subtend target sputtering, ion beam sputtering, magnetron sputtering. Compared with other targets, copper target price is low, so the copper target is preferred target material which able to meet the function of the film.